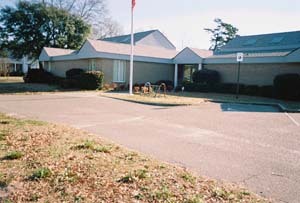 The Gilbert Patterson Memorial Library was built in 1986 with the funding of local government municipalities and generous donations from the Maxton community. The site of the Library located at 210 N. Florence Street was donated by Ruth and Marcus Allan. Book collection containing over 12,500 titles, some are available in large print and on tape. Video collection containing over 450 titles. Federal and State tax forms. Donated magazines are free to the public. Maxton Historical Society website: www.maxtonhistoricalsociety.org . Located on Graham Street, the Maxton Museum is an example of late 19th century frame architecture. Constructed in the 1880’s, the building has housed a number of businesses, including a smithy. In the 1890’s it was moved to North Patterson Street and used as the law office of Gilbert B. Patterson until 1922. Beginning in 1937, the building was used as a library and moved to its present location in 1972. 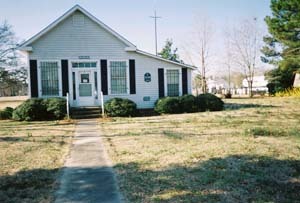 It has been the home of the Maxton Historical Society since 1982 and houses collections of educational, social, industrial , and genealogical interest. Of special interest is the collection on the Laurinburg-Maxton Air Force Base. The Museum is open by appointment.